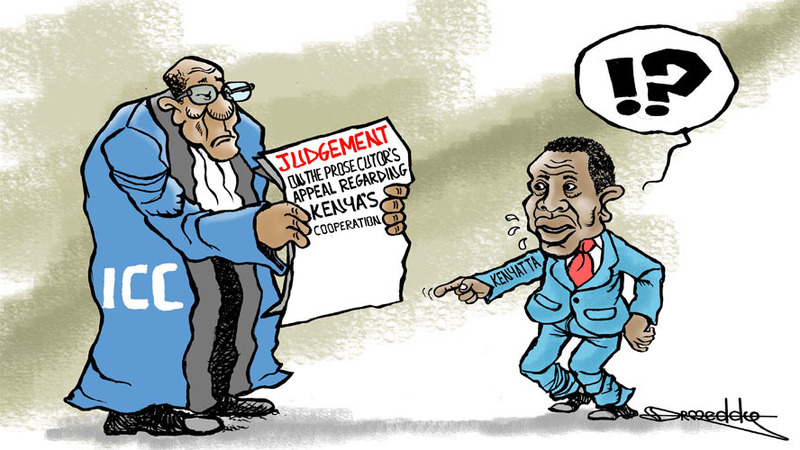 Has Kenya actually complied with the ICC? On Wednesday morning, the ICC Appeals Chamber issued its judgement on the Prosecutor’s appeal regarding Kenya’s cooperation. At least, that’s what most people think. But that’s not actually what the hearing is about, explains Elinor Fry of the Vrije Universiteit of Amsterdam’s Centre for International Criminal Justice. Q: What ‘s being decided? When you read all the details it’s actually quite bizarre what’s been happening in this case. But the Prosecution was granted leave to appeal on a very narrow issue – not so much whether the government of Kenya has been cooperating, yes or no – but rather the way the Trial Chamber made their decision in December. Q: What did the Trial Chamber say back in December? The Trial Chamber did something very odd. First, they said the government of Kenya is not complying in the sense of Article 87(7) of the Rome Statute, – which is part of the Statute’s provisions on States Parties’ obligations of cooperation with the Court. That article says that if a State Party is not complying with a request of the Court, the Trial Chamber may make a finding to that effect and refer the country to either the UN Security Council or the Assembly of States Parties – the legislative body that oversees the ICC. The UN Security Council would only get roped in if it itself had originally referred a situation to the ICC. But after having ruled that Kenya was not complying, the Trial Chamber went on to say it would consider whether to make a “formal” or “judicial” finding to that effect, which would trigger the referral to the ASP, suggesting there’s a difference between an informal finding and a formal finding. Q: So what’s the difference between an informal finding and a formal one? Exactly! Nobody knows! I find it very odd. To my knowledge there’s no difference between informal and formal findings. But that’s what they did. It is true that the Trial Chamber does have a discretionary power in this respect – Article 87(7) uses the word ‘may’ – so they don’t have to make a finding of non-compliance. But the same provision says that if they do make the finding that a country is not cooperating, thereby preventing the Court from exercising its functions and powers under the Statute, they have to refer the matter to the ASP (or Security Council). What this Trial Chamber effectively did was pull that Article’s discretionary power apart and turn it into a sort of two prong test where first they may – or may not – make a finding of non-compliance and then they may decide whether to refer it to the ASP or the Security Council. 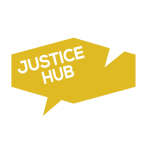 Q: So what the Trial Chamber didn’t do is refer the matter to the ASP, and the Prosecution is saying – to the Appeal judges – the Trial Chamber had to do that. Yes, that’s what the Trial Chamber said. It was one of the points that the Prosecution could argue about (for which leave to appeal was granted), and the Appeals Chamber will make a decision about that. Q: What has the Prosecution argued? The Prosecution argues there’s no difference between an informal and a formal finding, and that the Trial Chamber should have automatically referred Kenya to the ASP. And it’s true the Trial Chamber is quite clear – it’s paragraph 78 and 79 in their decision – that Kenya is in non-compliance and it has obstructed the functioning of the Court. Q: Did the Trial Chamber actually try not to refer the matter to the ASP? It’s certainly looks as if they tried to avoid referring it, by creating this artificial distinction between a formal and an informal finding. I think that if such distinctions were common – if every finding could be informal or formal – there would be very little certainty for parties in any litigation. Q: What does all this very convoluted legal reasoning suggest to you? Well of course it’s speculation, but you get the impression that the Trial Chamber also wanted to somewhat punish the Prosecution for its conduct in the case. They take lots of extra factors or reasons into consideration for not referring the Kenya government. Q: That’s the other ground for appeal? Yes. The Prosecution also argues that, even if the Trial Chamber could make only an informal finding, it considered all kinds of irrelevant factors or at least weighed some factors incorrectly when deciding not to refer the matter to the ASP. Q: Factors criticising the Prosecution? Some are critical of the Prosecution. For example, the Trial Chamber says that even if Kenya had given all the information the Prosecution requested – bank records, phone records, etc. – it’s not certain that the information would have constituted sufficient evidence for going to trial. And the Prosecution says, and I agree, but you can never guarantee that such information would lead to a successful ending of the case. So it’s kind of a Catch 22 situation for the Prosecution. The fact of matter remains that the Trial Chamber said the Kenyan authorities were in non-compliance, and the Rome Statute says they should face some kind of consequence. Otherwise, for the future, they’ve pretty much provided the blueprint for any government on how to obstruct a trial. Q: What kind of punitive measures could the Kenya government face? If they were referred to the ASP, then it would be political and or diplomatic pressure. Technically it’s a breach of an international obligation. So the ASP could also go for, for instance, economic sanctions – but that’s unlikely. In other cases there have been no real consequences. For instance the Libyan government has been referred to the Security Council for not handing over Saif al-Islam Gaddafi. But nothing has happened. The sad thing is that referring a country for not cooperating is a rather toothless punishment. It’s still important as it is the only way to sanction Kenya for not cooperating, which matters for the future of the Court in general but also in this particular instance because the Prosecution is allowed to continue investigations in the Kenyatta case. So it’s important that there be pressure to prevent this from happening again. Not referring the matter after establishing non-compliance sends the message that not cooperating with the Court is okay. Even if prosecution has made mistakes, this isn’t the time or place to hold them accountable for those. This non-compliance proceeding is about the government of Kenya.